Volkswagen AG lost almost a quarter of its market value after it admitted to cheating on U.S. air pollution tests for years, putting pressure on Chief Executive Officer Martin Winterkorn to repair the reputation of the world’s biggest carmaker. 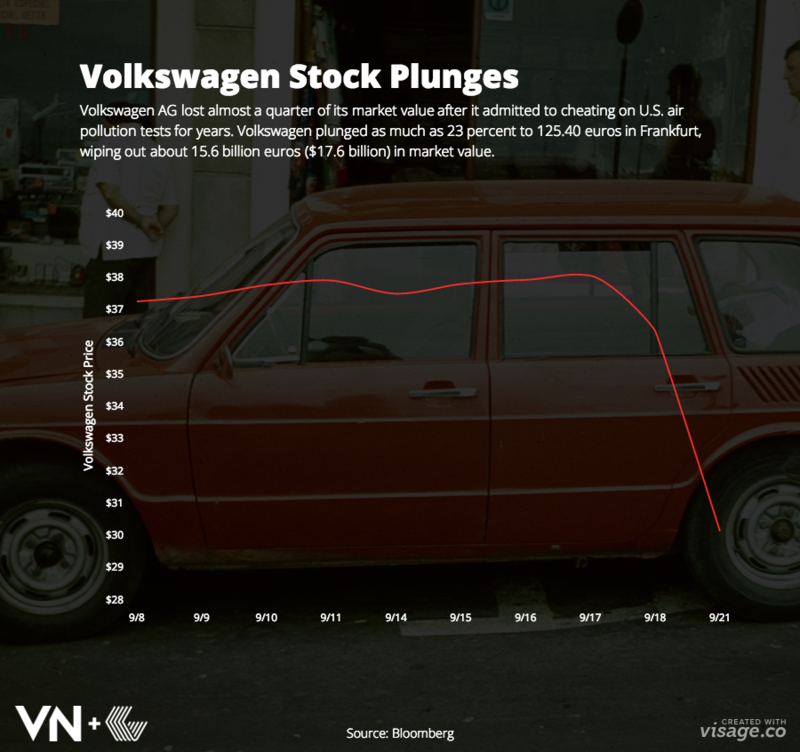 Volkswagen plunged as much as 23 percent to 125.40 euros in Frankfurt, wiping out about 15.6 billion euros ($17.6 billion) in market value. The stock closed at 132.2 euros, its lowest in more than three years.